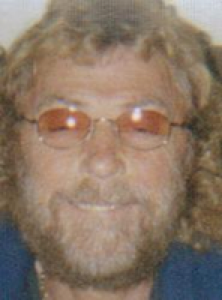 Jerry Ihle, 55, 12870 Ailes Rd., Anna, Ohio died at his residence on Friday, July 24, 2009 at 6:50 PM of an extended illness. He was born March 21, 1954 in Hettinger, North Dakota the son and Anton and Eva (Haag) Ihle and they are deceased. He moved to Shelby County in 2001 from Montana. He is survived by his best friend and companion, Connie Powers who survives in Anna. He also is survived by one daughter, Keri Ihle and two grandchildren, Andrew and Kayelenn. He was a member of St. John&#39;s Lutheran Church in Sidney. He was a construction worker. The family will received friends at the at the family&#39;s residence at 12870 Ailes Rd., Anna, Ohio on Tuesday, July 28, 2009 from Noon and throughout the day. Memorial contributions may be made to the family at 12870 Ailes Rd., Anna, Ohio 45302.